This article expresses further concerns about the Equity Metrics developed by San Francisco Recreation & Parks Department (SFRPD). The first article is here: The Proposed”Anti-Equity Metrics”. Proposition B provides SFRPD with set-aside funds for the next 30 years. It also requires them to ensure equity for the parks, by spending more on parks in under-served areas. Let’s call those the “Equity” tracts (they’re based on census tracts showing below-average income). Now SFRPD proposes a calculation method (“metric”) that indicates it’s actually devoting more resources to those parks already. (You can see that calculation HERE: item-2-equity-metrics-staff-report-final-080416) How? By simply assuming that only the “Equity” tracts use the parks within a quarter-mile of their homes, so that they get ALL the resources spent on those parks. Of course, that’s simply not true. The Equity tract users use those parks, but so does everyone else who lives nearby. (Large parks may even attract people from across the city.) They share the resources, they don’t get all the resources. Tom Borden provides a more detailed explanation from of what’s wrong with SFRPD’s current Equity Metric (i.e., how it will calculate how it’s doing on sharing resources with under-served areas). We need improved metrics to make sure that under-served populations get more resources. The Equity Metrics currently proposed by SFRPD are misleading and inadequate. The calculation method chosen by SFRPD cheats the people in under-served neighborhoods by dramatically overstating the park resources provided to them. The individual metrics chosen are indirect, subjective, open to manipulation, irrelevant and even backward to what we are trying to measure. Defining census tracts based on the CalEnviroScreen data (as the current metric does) seems to be a good choice. The logic of including parks within 1/4 mile of tract boundaries also seems sound. 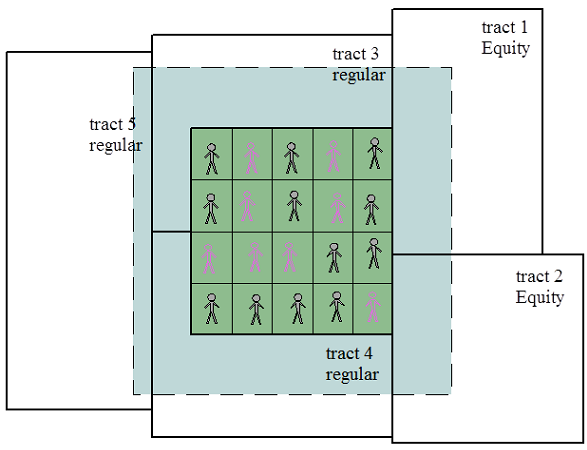 The logic breaks down when it comes time to assign park resources to Equity census tracts. The per capita measures are based on the resources of all of the parks captured in the “Parks Serving the Equity Zones” divided by the total population of the disadvantaged census tracts. Any census tract that is within 1/4 mile of a park captures 100% of that park’s resources. Based on this methodology, Golden Gate Park should be included, but it is not in the list of “Parks Serving the Equity Zones”. Why? Because allocating 100% of Golden Gate Park to Outer Richmond census tract 478.01 would expose the fallacy of SFRPD’s calculation method. It systematically allocates far more resources to equity zones than the residents actually enjoy. The same logical problem exists for every other park where there are non-equity tracts sharing the resources with equity tracts. It’s just that the scale of the systematic error is smaller because the parks are smaller. When there are 20 picnic tables in a park the people from the neighboring equity census tracts do not get all of them. They share them with the other tracts within a 1/4 mile of the park. 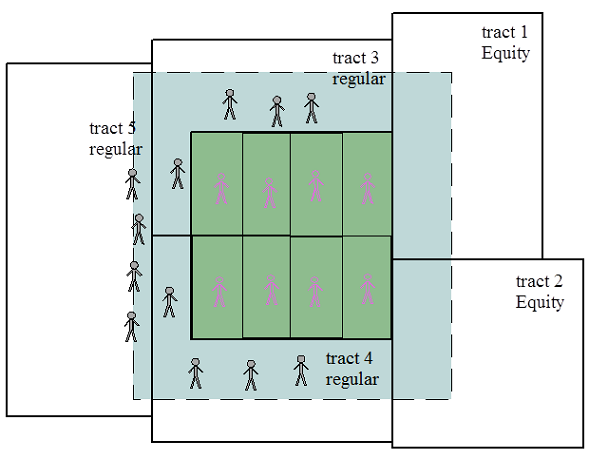 If half of the people around a park are from regular census tracts and half are from equity tracts, 10 of the picnic tables should be allocated to the equity population. The SFRPD system allocates all 20 to the equity population. All of the per capita metrics need to account for sharing in order to produce results that can be compared to the citywide averages. All parks are shared between census tracts. When calculating metrics, it should be done on a park by park basis based the number of people in all census tracts with tract boundaries within 1/4 mile of each park. 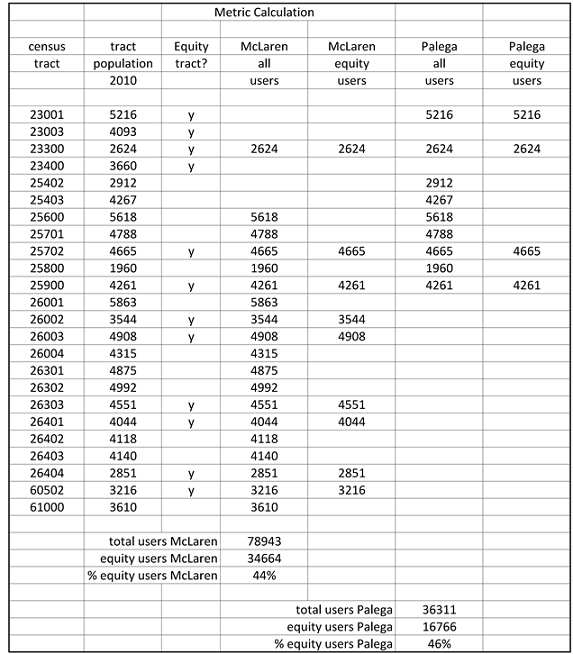 See the spreadsheet here that illustrates the calculation for McLaren Park, Palega Rec. Center and the surrounding census tracts. (Click on it for a larger version). A spreadsheet like this could be built out to include every park and census tract in the City. And divide that result by the total population of all equity tracts to get a citywide per capita measure. It would also be useful to look at this from the perspective of individual Equity tracts. The per capita resources associated with each park within a 1/4 mile of the tract could be added up to see how the particular census tract was being served. This may sound complicated, but once the assignments are made between individual census tracts and individual parks based on location, the calculation could be easily done in a spreadsheet. This is a key issue. If it is not fixed the equity metrics are useless and the under-served communities are cheated. The following points should also be considered in developing an improved metric. All of the metrics calculations should be available to the public from start to finish. Presentation of final results from a black box calculation is not acceptable. The metrics exclude parks that have schools and libraries, Francisco Reservoir, Marina Harbor, Candlestick, the Zoo, 17th & Folsom, 900 Innes, Geneva Car Barn and Noe Valley Town Square. Some of these should be included. Parks at schools and libraries are frequently larger than mini-parks and are used as neighborhood park space. They should be included. The new parks should be included for the capital spending metric. Once they open, the rest of the metrics can be applied. It looks particularly bad to exclude Francisco reservoir. The harbor and the zoo do seem like special cases. If the harbor produces a positive cash flow, excluding it is ok.
As defined, recreational resources includes those provided by volunteers and “recreation partners”. Those should not be counted since they are not funded by SFRPD and represent efforts by the public to make up for SFRPD’s shortfall of the needed services. We volunteer to improve our parks beyond what SFRPD is doing. Including volunteer service in this metric means that the harder we work on our park, the less SFRPD would be required to spend. The whole intent of these metrics is to insure equitable spending of the Prop B money. Volunteer hours are more likely a measure of SFRPD’s failure to spend money in a park, the opposite of what we are trying to measure. It does, of course, make sense to account for SFRPD’s expenditures on volunteer recruitment, scheduling, and on-site management and assistance by SFRPD staff. These expenditures should be under the Maintenance heading, not Investment. Clearing brush, pulling non-native plants, repairing trails, tending native plantings and picking up trash are all maintenance, not capital improvements. Volunteer service hours is not a valid metric. By definition, these program discounts are granted to low income families. Of course, more will be granted per capita in disadvantaged neighborhoods. There is no point in comparing this metric between average and disadvantaged neighborhoods. A meaningful measure would be number of people participating in SFRPD programs per capita from disadvantaged tracts versus the City at large. This should be acres of usable parkland. It should not include parkland that is off-limits to the public such as Natural Areas under the Natural Areas Program (NAP). According to SFRPD’s Significant Natural Resource Areas Management Plan (SNRAMP) less than 5% of NAP controlled parkland will be open to the public. This is a critical issue since the City’s southeast Equity region contains a disproportionate share of Natural Areas acreage. See the map below. 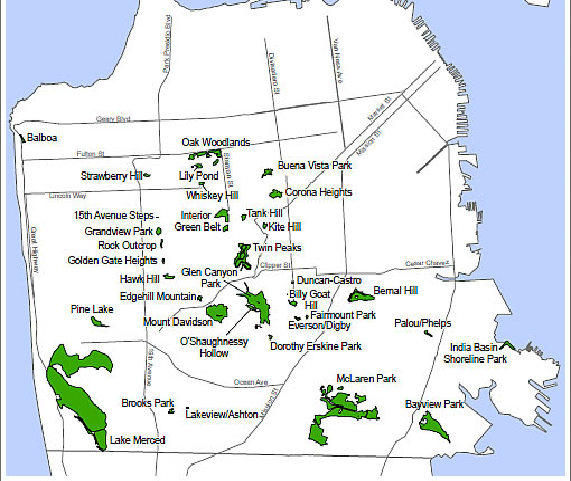 Half of McLaren Park, almost all of Bayview Hill and most of India Basin are Natural Areas. Capital spending on the Natural Areas Program should not be counted since it does not benefit local park users. Trail closures, land closures, access control fences and proscriptive signage do not benefit the local public. Spending money on the NAP in Equity Zone parks is a form of environmental racism. Wealthier neighborhoods get usable landscaped parks while the disadvantaged neighborhoods have their parkland closed off for native plant preserves. These equity metrics should not promote that outcome. The Park Scores are a useful metric. They are a good attempt at creating an objective assessment of our parks. However, it’s hard to imagine that bias does not creep into these assessments. This should be used as a metric, but with other robust measures beside it. This refers to maintenance requests logged into SFRPD’s internal TMA system. Entries are made by SFRPD staff and checked off as completed. The metric is proposed as the percentage of the requests opened during a particular year that are closed in the same year. This is not a reliable metric. If a different level of care continues to be applied to parks in disadvantaged neighborhoods, staff would not lodge repair requests for things in those parks that they would in others. A high closure percentage for the fewer requests would not mean the disadvantaged parks were being as well maintained. There is no dollar value tied to the TMA entries. A request in a nice park might be, “the rec center windows look old, replace with new windows. “ In the Equity park it might be, “the bathroom window hinges are rusting out, nail window shut.” The TMA system is subject to manipulation and is opaque to the public. A better metric would be number of TMA requests closed per year per capita of Equity population. However, this is still of very limited meaning since the value of the requests cannot be determined. This metric should not be used. This is one of the most direct and meaningful measures. Why isn’t it in here? The previous two metrics are indirect and much less reliable. RPD says this metric is not proposed because they do not know how much they spend for maintenance in any given park. Can they be serious? They do not know how many gardeners, janitors and managers are allocated to each park? Their TMA system does not track time and materials associated with a job? If they do not have this information, they need to figure it out now. How can they do a good job of managing our parks without it? These metrics should not promote spraying toxic chemicals in Equity Zone parks. Proposition B provides San Francisco Recreation and Parks Department (SFRPD) with set-aside funds for the next 30 years. It also requires them to ensure equity for the parks, by spending more on parks in under-served areas. Let’s call those the “Equity” tracts (they’re based on census tracts showing below-average income). Tom Borden shows graphically what’s wrong with SFRPD’s current Equity Metric. In the next article, he will provide a more detailed analysis of this hastily-designed measure. RPD’s Equity metrics show paradoxically that the disadvantaged neighborhoods of San Francisco enjoy more park resources than the average city resident, much more. On a per capita basis, the equity population is way ahead of the average resident. Below, the first number shows the resources for the “Equity” tracts (i.e., under-served populations, determined by census tracts), vs. City-wide resources. Do you believe it? They must be doing something wrong in their calculations. Let’s take a look. The graphic below shows a 10 acre park where five census tracts are within 1/4 mile of the park. Two of the tracts are equity tracts. For simplicity, let’s say 4 people live in each tract. Using the SFRPD method, the 8 equity neighbors share 10 acres, or 1.25 acres per capita. Do they really have all that space to themselves? No. All those other neighbors standing outside use the park too. They put wear and tear on the park, occupy the tennis courts and picnic tables, take spots in programmed activities, fill up the trash cans, and take lanes at the pool. The SFRPD method shows the equity neighbors are getting much more than they actually are. The right way to calculate this is shown below. 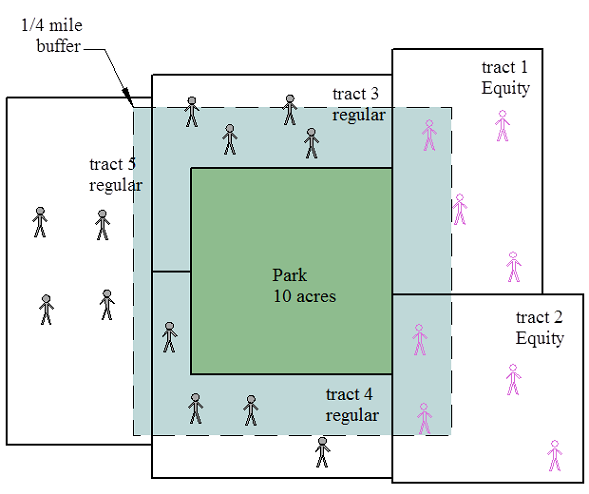 The portion of any particular park resource to allocate to the adjoining equity tracts is based on the simple ratio of equity park users to total park users, in this case 8 / 20 = 40%. If $1,000,000 of capital was spent in the park, $400,000 would be allocated to the equity tracts. SFRPD needs to correct their accounting for parks shared by equity and non-equity tracts. The resources of each shared park should be calculated as illustrated above. If this is not done, the error makes it look like the equity tracts are being better served than they really are. Instead of having Equity Metrics we have Anti-Equity Metrics. This is one of our park visitor posts, written by a neighbor of McLaren Park. 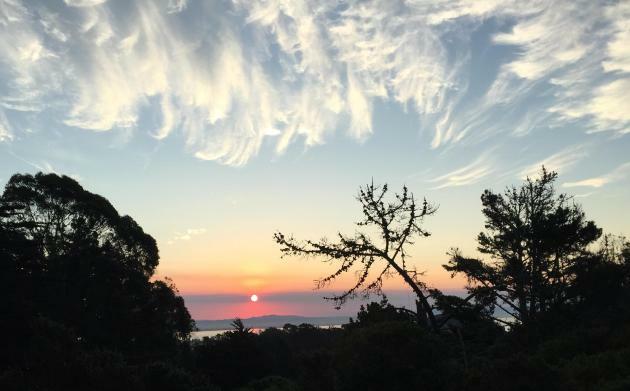 The Natural Areas Program targets over 800 trees in McLaren Park for destruction. My San Francisco neighborhood is surrounded on three sides by freeways. Interstates 101 and 280 are busy spewing exhaust all day and most of the night. Breezes and fog from the ocean help dissipate some of the smog, but on windless days the air hangs heavy and dense. The only thing saving our air quality is the trees. The Excelsior is not your typical rich San Francisco neighborhood. It is mostly families and working class folks. The tech buses have not found their way down our streets and our main retail corridor is filled with nail salons, dollar stores, pot clubs, and boarded up storefronts. Despite having nearly 40,000 residents, sometimes it feels like we are a forgotten neighborhood. Tourist maps often omit the entire south end of San Francisco and visitors have been known to ask whether they are still in The City. The wealthier a neighborhood, the more trees it has. Rich people have trees, poor people get cement. This is especially true in the Excelsior, Visitacion Valley, and the Portola, where the single-family homes are modest and many front yards are paved over and littered with old cars. Our sidewalks are “tree poor” compared to wealthy Noe Valley and posh Pacific Heights. But the working class neighborhoods on the southeast side of San Francisco have one thing going for them : McLaren Park. McLaren Park is the second biggest park in San Francisco, after Golden Gate Park. It is as wild and isolated as Golden Gate Park is manicured and visited. It is possible to hike miles of trails without seeing another person. I have seen foxes, coyotes, red-tail hawks, and great horned owls on my daily walks. In many parts of the park birdsong drowns out the constant drone of the freeways and the tree canopy blocks the cityscape. McLaren is our little piece of paradise in this urban corner of the City. 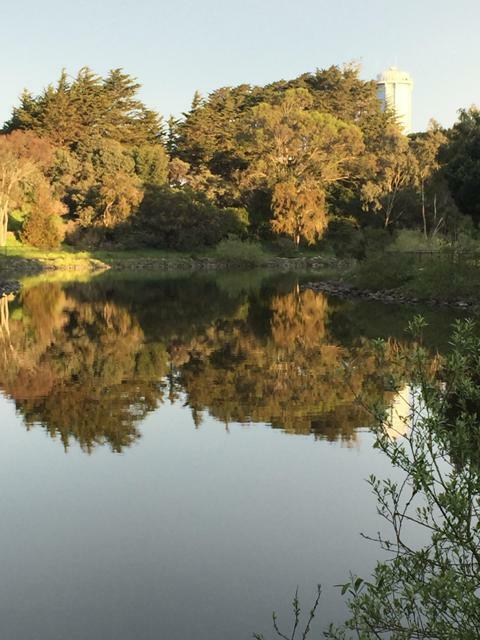 Recently I found out that San Francisco’s Rec and Park Department has big plans for this urban oasis: the Natural Areas Program. The plan calls for cutting down many hundreds of healthy trees in an attempt to recreate the native scrubland that existed in the 1700’s. The trees slated for removal are not only eucalyptus, but mature and healthy Monterey Pine and Cypress, among others. Millions of our tax dollars have already been spent on this boondoggle, while maintenance in our park is practically nonexistent. 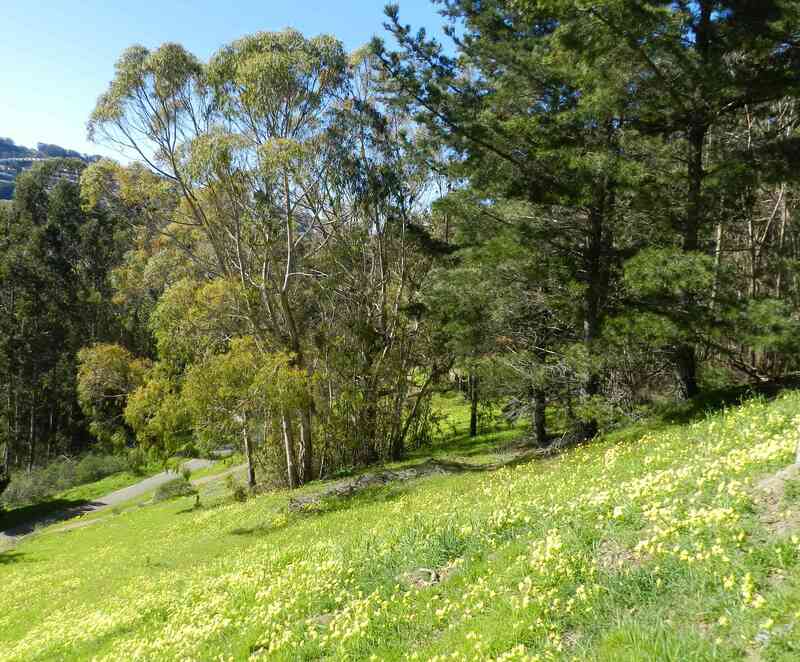 The “Natural Areas Plan” claims about ⅓ of San Francisco’s city parks, but Rec and Park’s biggest conquest yet may be McLaren Park. Could it be because the southeast corner of the city is the least rich, the least white, and the least likely to oppose this butchering? Almost 50% of the population in adjacent neighborhoods are foreign-born and speak english as a second language. People on this side of town don’t have the same political clout and connections as those living in wealthier neighborhoods. Even chopping down dying trees in other parts of the city creates a community uproar. When it comes to environmental justice, our hood is just not rich enough and not white enough. Trees clean the air, absorb traffic noise, and provide respite from our hectic city lives. As the Bay Area becomes more populated, we all need more access to public green space. John McLaren created the park in 1927 in order to save the area from development. Now we have to save it from clearcutting. McLaren was originally mostly coastal shrubland. 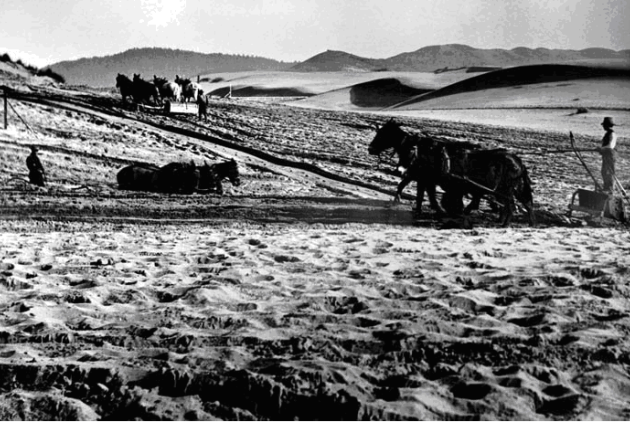 Three-quarters of lush Golden Gate Park was originally sand dunes. Sutro Forest was desolate, sandy and wind whipped. Whether you agree with “native plant restoration”, the bigger question here is, should a beautiful yet neglected city park surrounded by freeways and adjacent to tree-poor neighborhoods be slated for such a project? SF Rec and Park maintain that they just don’t have enough money to pay for proper garbage cans and trash pick ups, trail and tree maintenance, repairing crumbling playgrounds, and other upgrades that McLaren desperately needs. But the department apparently has enough money for spraying cancer-causing herbicides like glyphosate (Roundup), cutting down healthy trees, and fencing off large parts of our park to visitors. The Natural Areas Program may have a different budget category within the Rec and Park department, but it all comes from our tax money. Our city and our neighborhoods need more trees, not less. 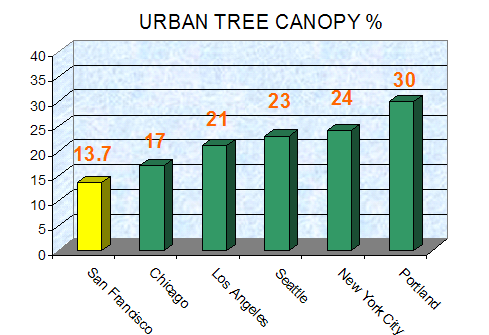 San Francisco has the smallest tree canopy of any major U.S. city. Poor children and children who live near freeways have higher rates of asthma, and studies show that a dense urban tree canopy can decrease these high rates of childhood asthma. Children in the southeastern part of San Francisco have the highest asthma rates in the city, and all the residents this side of town on experience high rates of air pollution. Tree-filled parks don’t just beautify our neighborhoods, they also improve our psychological well-being. Green urban neighborhoods with plenty of trees actually improve our health, according to several recent studies. Our 49 square-mile city is the second densest in the country, right behind New York. Attempting to return large swaths of our urban parks into the treeless landscape that they once were doesn’t make sense in present day San Francisco. Urban trees do more than just improve air quality; they improve our quality of life. Living in a city can be stressful, hectic, and cramped. We all need access to open, public, forested green space.